THE Department of Trade and Industry (DTI), through its Export Marketing Bureau (EMB), in collaboration with the Philippine Trade and Investment Center (PTIC) in Seoul and the Asean Korea Centre (AKC) are supporting Philippine exporters in expanding their market reach in South Korea through the country's participation at the Korea International Furniture and Interior Fair (Kofurn) 2018. The fair runs from August 29 to September 2 at the Korea International Exhibition Center in Gyeonggi, South Korea. 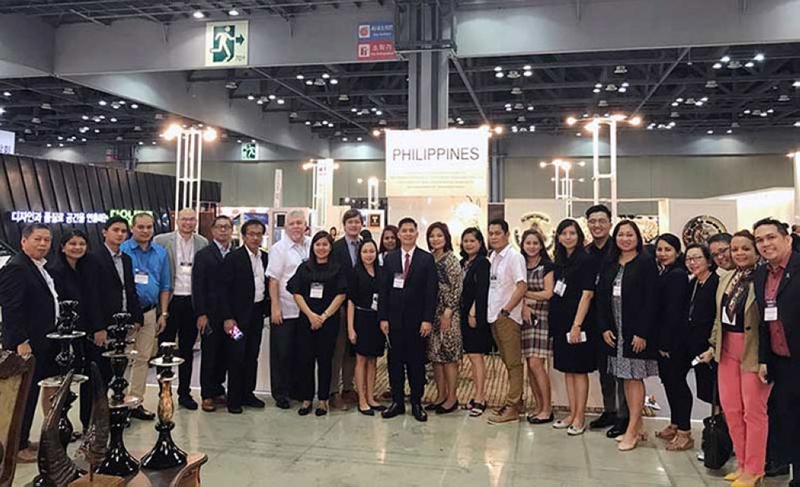 Ten Philippine companies assisted by the DTI-EMB through its Regional Interactive Platform for Philippine Exporters (Ripples) Plus Program were selected by the AKC to showcase their products and services at the AKC Asean Exhibition Area of the Kofurn. These Philippine furniture and furnishing companies, which are members of the Chamber of Furniture Industries of the Philippines Inc. (CFIP) and Pampanga Furniture Industries Foundation Inc. (PFIF), include Azcor Lighting Systems, Calfurn Manufacturing Philippines, Country Accents, Filipino Creazione De Mano, Furnitureville, Markline Home Furnitures, More Than A Chair, Natures Legacy Eximport, Venzon Lighting Manufacturing, and Weavemanila. Kofurn is the largest furniture exhibition in South Korea that features home, office and kitchen, interior furniture, including the woodworking industry, and a design competition that started in 1984 under the active support of the Korean Government. More than 350 representative firms are expected to display examples of contemporary bed furniture, office furniture, kitchen and bath products, sofas, lightings, carpets and flooring, wall coverings, textiles, raw materials, accessories and outdoor furniture for residential and commercial interiors and woodworking machinery for furniture and related products and publications. Also expected to visit the Kofurn 2018 are nearly 50,000 visitors both from the domestic and overseas fronts. The Philippine Pavilion under the AKC Asean Exhibition Area of Kofurn will be joined by other Asean-member countries such as Indonesia, Malaysia, Myanmar, Singapore, Thailand, and Vietnam.